Articles that fight for the users. A companion to the podcast. How I’ve made 20yrs of marriage, 6 kids, 5yrs at same job, and 3yrs of successful podcasting work. What’s the difference between UI and UX? Design for others’ current disabilities… and your future ones. I still remember seeing my disabled father fall at a gas station. Hi, I’m Jason…and I’m a dope-addict. 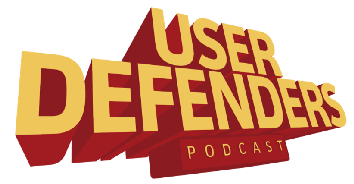 This article was first published on the User Defenders podcast Bi-Weekly Bugle. What if designers actually used the things they design? None of your work is original. I hate to break it to you, but none of your work is original. You don’t need a faster horse, you need a better design. Understand the Problem. Set a Direction. Execute! Spotify is incapable of empathy & doesn’t care about their users. Even though that tweet is almost two years old, the statement is still rings true today. We spend a lot of time designing software. But how much time do we spend building the bridge required to get users aboard it? Your Tools Don’t Define You. Imagine the world 10,000 years from now. I’ve only ever been in one fight in my life. Are Digital Products Becoming Dangerously Addictive?